These days, images are perhaps the most popular method of communication, so much so that many hardly bother with the written word anymore. Teens “text” one another using photo and video selfies on Snapchat. Internet publications offer travel stories through photos, recipes through videos, and entertainment through GIFs of animals doing adorable things. Families share stories and life events through their snapshots on Facebook. In short, more of us are taking photos than ever before — and that means we need places to back up, store and share these memories. Photo storage sites are for more than just backups. 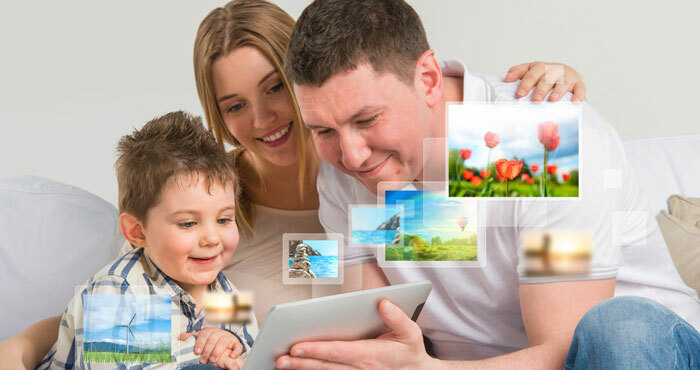 Cloud storage services let everyone give family and friends access to their most memorable moments. For enthusiast and pro photographers, these sites offer a chance to showcase their skills to the photography community and the rest of the world. 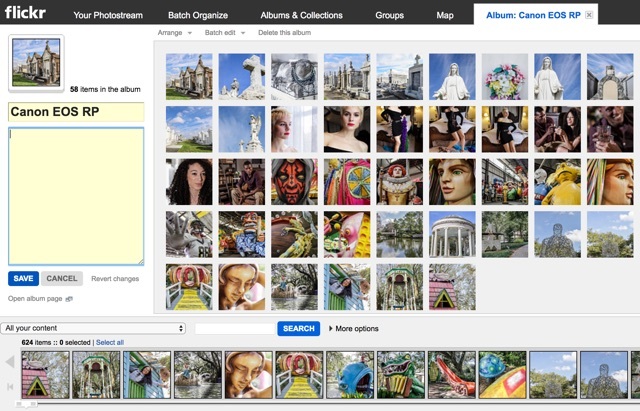 Beyond making it easy to share, the best sites provide ways for users to organize their photos in a way that makes them easily available when they’re needed. With so many photo sharing services for every need, finding a good one isn’t hard. It’s the weeding through all of them and picking the best one for you and your needs that might be tricky. But worry not, because we’re here to help. Shareability: How do you want to share your photos? Would you prefer putting your best foot forward, sharing only a few chosen ones like a blogger or an influencer would? Or do you need to share all your snaps for your family and friends to see? Or would you rather share your images with a community of photographers for feedback and for exposure? Storage Space: Storage space is just as important when choosing a photo-sharing service, especially if you’re looking for a place for back-ups. Hard drives, after all, can break, and once those photos are gone, they’re gone forever. Some services give you unlimited storage and automatically back up your mobile photos, while others take a little more effort and are better for images you’ve painstakingly taken with your high-res camera. Photo Quality: This one is almost non-negotiable. You have to find a service that doesn’t overly compress your images or, even better, posts them in full quality. This is especially important if you’re an enthusiast or serious about going pro. Your photo sharing account is practically your portfolio, and there’s nothing worse than a photo portfolio with badly compressed images. Ease of Use: Is the user interface easy to understand and navigate? User-friendliness and accessibility is very important for when you want to share your images with people who might not be computer-savvy. 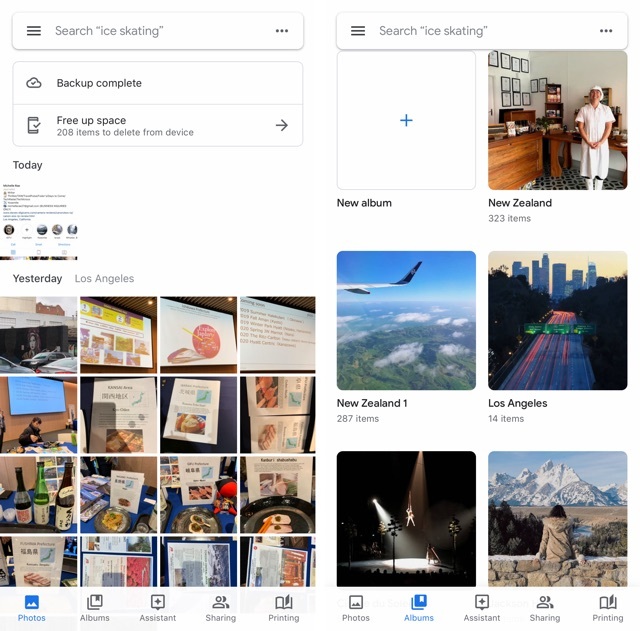 But it’s just as important to have an easy to use interface when you’re uploading, captioning, tagging and organizing many images all at once. Cost: Many photo services offer free accounts, with paid subscriptions adding more storage space, ad-free browsing, or tools you can utilize to make uploading, adding captions, and other things easier. A few sites, like Instagram, are completely free. Privacy Options: If you need a photo sharing service for personal use, you might want to look into the privacy options. Some offer password protection that you can give out to family and friends so only they can see your photos. Now let’s take a look at the best photo storage services you can find. One thing we love about Google Photos is its unlimited storage space for "high quality", compressed of images up to 16 megapixels, which covers most smartphones and may digital cameras. And if you do take higher resolution photos and want to save them at their original resolution, you can get 100GB of storage space for the low price of $2 per month. The space is shared with Google Drive and Gmail, but it’s a lot no matter how much you keep on your Google account. Another thing we love is that the Google Photos app is such a terrific automatic photo uploader that it makes backing up your photos — and by extension, clearing up space on your mobile device — effortless. Plus it notifies you when your device is almost out of space and enables you to free up space with a just click. Of course, that’s not all it offers. Google Photos gives its users amazing tools for sharing, organizing and browsing photos. It tags images with location, date and more to make them a breeze to find, and it can automatically sort your photos based on the people — and even pets — who are in them. The Assistant feature automatically creates photo books, movies, collages, stylized images and animations. And if you want to edit these suggested project or create your own, you hardly have to lift a finger. And with “Rediscover This Day” and "Then and Now" you will find yourself revisiting and sharing photos with more frequency. Google Photos takes all of the aspects of photo sharing, from the backing up and organizing to rediscovering and sharing, and makes them all easy. Flickr's huge community of photographers welcomes everyone from casual shooters to professional photographers and encourages the sharing of information and resources. There are strictly followed guidelines that protect the community and your photos. Privacy options let you limit who can see your photos to who can comment on and tag them, and you can easily share your photos on Facebook, Twitter, Tumbler, Pinterest, and by email. 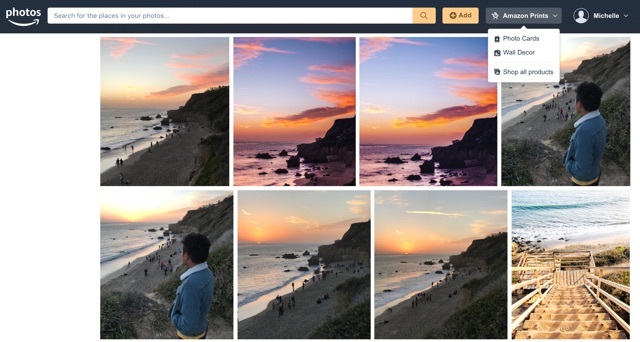 Flickr even displays your photos’ metadata, which is very useful for enthusiasts and budding photographers who want to learn from the more experienced members. Plus, the user interface is so simple and user-friendly that things like uploading, organizing, searching, commenting/”fave”-ing, and even downloading photos are a breeze. And the price is right. Users have the choice of a free membership, which lets you upload just 1,000 photos, or a paid subscription, which gives you unlimited uploads for about $50 per year. Either way, you're getting a lot of storage for a reasonable cost. Instagram is perhaps the best thing that came out of our addiction to instant gratification. 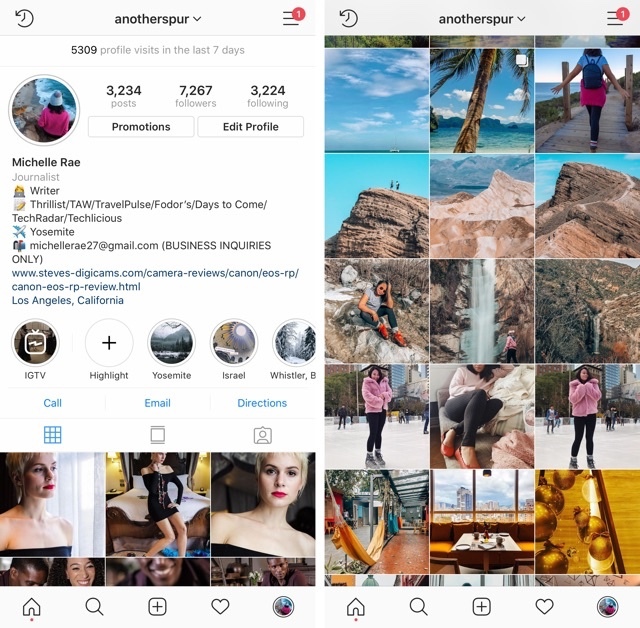 Instagram has not only given many the perfect platform to effortlessly share photos, but it is so easy to use that kids and grandparents can figure it out. All you need to do is install the app on your phone, create an account, and let the uploading begin. Browsing, liking, and commenting on photos is a breeze. And because it’s mobile, you can share and browse images from anywhere. Beyond just posting photos, Stories let you post Snapchat-style, with your photos vanishing after 24 hours — though you can create Highlights of your favorite Stories that will stick around. And the Collections feature lets you make your own Pinterest-style inspiration boards. Unfortunately, Instagram’s focus on social means it isn’t the best platform for storing and backing up your photos. While you can upload as many as 10 photos per post and tag them, posts are sorted chronologically and older photos will be harder to find. But no service can compete with Instagram’s social sharing. Being an Amazon Prime member has a lot of perks, and that includes the Amazon Photos service. It gives you unlimited space for storing your images at full resolution plus 5GB of video storage. That’s amazing, especially for families who have accumulated a few thousand photos over the years from important milestones and memorable family events. Amazon Photos offers an incredibly convenient place to keep the whole family’s photos and share them, even if family members don't have an Amazon Prime account. The key to sharing is a feature called Groups. It allows you to create a private group of loved ones who can download photos even if they don’t have an Amazon Prime account. And if 5GB for videos isn’t enough, you can upgrade to a 100GB plan that will only set you back $11.99 per year. On the organizing front, Amazon Photos lets you sort by People (thanks to face recognition), Places, Things (like Food, Plant, Toy etc. ), Date, and Type (photo or video). Co-founded in 2009 by Evgeny Tchebotarev who champions the look of film even in his digital photographs. 500px started as a blog for photographers looking to share their work with fellow photographers as well as advertisers and publishers. In fact, you can even license your photos here so that you can earn 60% royalties every time someone pays for a license to use your image. Free members can only upload 7 images a week, but a subscription (about $50 per year) lets you upload as many photos as you’d like. As people view and like your photos, their Pulse score will go up so more people will see them — and, potentially, pay for them. The user interface isn’t as intricate as Flickr’s, but that lets the photos speak for themselves. Still, you can create galleries, send messages to other photographers, and more. When we think of Unsplash, we think of stock photography at its very best. The high-res images you typically see on this stock photography site are beautiful, taken and shared by actual creative photographers with vision. Best of all, these images are royalty-free, with photographers only requesting (not requiring) credit so that they gain exposure. It’s a great space for publications, bloggers, and small businesses to collaborate with talented photographers. Users can only upload and publish 10 photos a week, so it isn’t ideal for personal photo storage and backups. However, it’s the perfect way to get the exposure up-and-coming photographers need to get their foot in the door for paid gigs. Why not include mger.co, imgur or imgbox as well? Please let me know if you would like me to setup a free account for you. B Collen - I was just checking out your site. It says for the premium subscription you get 1,000 MB…I assume that is supposed to be 1,000 GB? It’s hard to find a free photo hosting site that allows unlimited storage and bulk uploads. We use the FTP function to upload zipped folders with lots of photos in them. It unpacks them automatically. I’ve finally grown to absolutely hate Photobucket. I totally get having ads on free accounts but it’s so bad now I can barely get to my photo’s because of the constant barrage of them. It’s unbelievable how bad it is. Sure it only costs just under $3 a month to go ad free but when you are disabled, with no income and monthly medical bills even small payments are impossible. I’ve been using Photobucket for the last several years but it’s just become unbearable. I’ve been searching for a replacement and it seemed like Flickr was going to be it but then I find it out you have to use a Yahoo login. I’ve been slowly moving all my Yahoo contacts to Gmail because I didn’t want to use it anymore so being forced to keep it just to use Flickr rubs me wrong. So now it’s continue to suffer with a virtually unusable Photobucket or keep using a mail service I don’t want just to sign up for Flickr. I will probably end up having to keep Yahoo because Photobucket has made me hate their service. Who thought finding a photo sharing site would be such a pain. I’m really surprised that there are so few quality options for photo sharing, I thought there would be more. I’m having the exact same issue as Brandi. Photobucket is absolutely awful and I can no longer even stand to log in. I thought Flikr was going to save the day but I’m just not feeling it so the search continues. Clustr seems like a decent options but I don’t want viewers to have to have an account to see photos. You explanation is really awesome. what is your opinion on this website? There’s a great iOS app called Anno that helps teams of people organize, share and annotate photos. Definitely worth checking out (look for “Anno - Photo Sharing for Teams” in the app store). Looking for New Photo place! Looking for New Photo place other than Flickr! Flickr has gone down hill and accepts junk photos and not real Art by Professionals! Critique by Pros is gone! They let Toys and Origami in! Not Art! Cancelled my Flikr account due to all of the unfocused, poorly framed and just awful dumps of images now occuring. It’s going down the same road CB radio and etc. did years ago. When I share pictures with others, I want them to be able to see, if I want, captions indicating some description of the picture. That criterion seems to have been ignored in this review. Google Photos is supposed to have this feature now, but the caption disappears (if it appears at all) after displaying it for about 5 seconds, making it almost useless. Please also add Famipix (www.famipix.com/schools) to this list. Famipix is used by families and schools in over 100 countries to safely share photos..
Don’t forget picshareparty.com - by far the easiest way to gather pictures from an event using nothing more than text message. No app install is needed either. Picshare Party allows you to create a private event picture gallery built instantly by attendees through text message. Guests simply text pictures to the gallery’s phone number and the gallery is instantly updated! Still the same easy-to-use photo sharing service as before. Nupic.co is also great (free) image hosting and sharing service. Just upload and share your images across a variety of popular social platforms. Really good. First of all, amazing collection of information you have done here. Though some sites are just for the name and actually don’t do much, while some are very expensive to afford. You can find some of such site and their features in the given link. Hi, I found this app which is very interesting this app got many features, it got many sounds (Fart, funny, animals, nature, annoying etc) you can also share these to your friends and make it your ringtone. Hello, thanks for this site! I’m looking for a photo-sharing site that will allow me to share about 200 photos with friends.